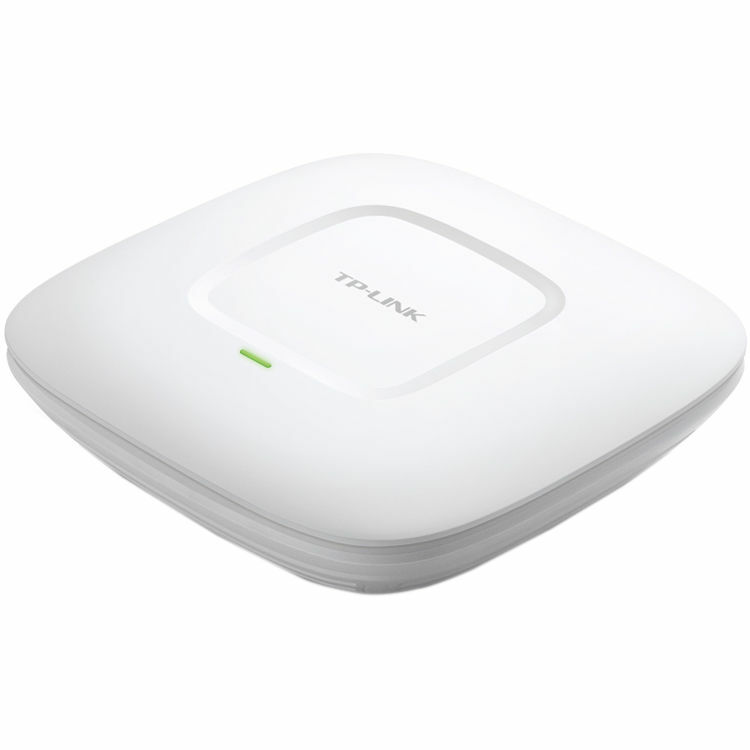 Extend the reach of your network without placing unsightly access points all over the office with the EAP120 Wireless-N300 Gigabit Ceiling Mount Access Point from TP-Link. This access point features a ceiling mount design making it aesthetically pleasing whether mounted to the wall or the ceiling. Installation has also been simplified as the EAP series are PoE compatible eliminating the need to run additional power to this device. Once installed you can take advantage of features like EAP controller software to manage hundreds of EAP's and the Captive portal to implement an authentication method for Wi-Fi guests. The EAP's "ceiling lamp" appearance and easy mounting design with chassis make it easy to be integrated seamlessly into any wall or ceiling surface to blend in with most interior decorations. The EAP120 supports Passive PoE to make deployment effortless and flexible. EAP Controller Software enables users to manage hundreds of TP-LINK's EAPs simultaneously and easily from PCs in the network, making centralized business Wi-Fi management efficient, visible and more cost-effective like never before. The EAP120 supports 802.11 b/g/n devices. Load balance ensures large numbers of users have a smooth network experience in large business networks. Multiple operating modes satisfy different application conditions including managed AP and standalone modes. The EAP120 adopts Low Smoke Zero Halogen (LSOH) materials for UL2043 compliance. Prioritize data, voice, and video applications to ensure time-sensitive traffic takes priority over all other traffic. Box Dimensions (LxWxH) 12.0 x 9.3 x 2.9"